WASHINGTON — Two weeks after he first visited the Rio Grande Valley, U.S. Sen. Jeff Merkley, D-Ore., said he is returning with fellow U.S. Sen. Chris Von Hollen, D-Md., and other Congressional members Sunday to tour various facilities where President Donald Trump’s “zero tolerance” policy is playing out. U.S. Rep. Filemon Vela, D-Brownsville, is also bringing a group of colleagues for a similar tour Monday. The group will include U.S. Reps. Joaquin Castro, D-San Antonio; Val Demings, D-Fla.; Adriano Espaillat, D-N.Y.; Vicente Gonzalez, D-McAllen; Sheila Jackson Lee, D-Houston; and Bennie Thompson, D-Miss. Merkley’s office said U.S. Reps. Peter Welch, D-Vt.; David Cicilline, D-R.I.; and Mark Pocan, D-Wis., will be joining him on Sunday. 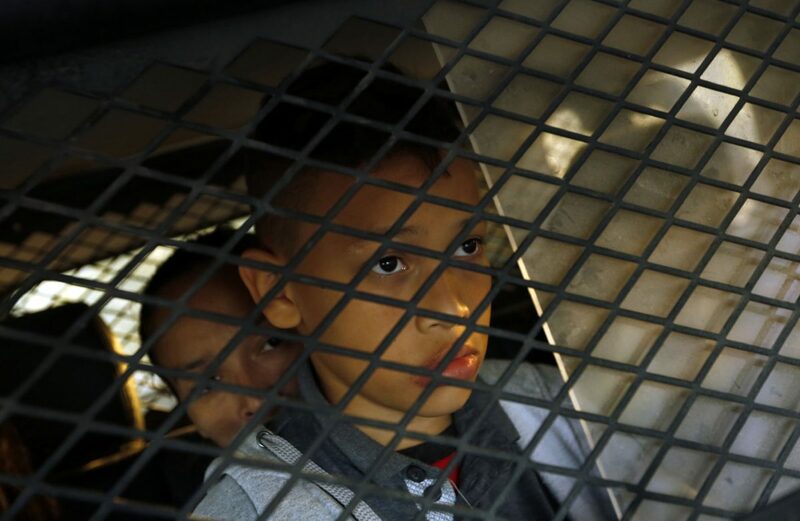 The Trump Administration ramped up the zero tolerance policy in May. The practice criminally prosecutes any adults who cross the border illegally in between ports of entry. The adults are detained until their appearance in federal court. If they have children with them, the children are sent to U.S. Department of Health and Human Services facilities. Vela said the entire itinerary for his group isn’t yet locked in, but they will tour the Southwest Keys Casa Padre and Casa El Presidente detention centers Monday in Brownsville. Since Vela will be in the Valley over the weekend, he said he may join the two senators and their Congressional group for their Sunday tour. The members of Congress are also planning to go to the Hidalgo-Reynosa International Bridge, where Customs and Border Protection officers have denied asylum seekers entry due to what they’ve said has been local detention centers being at capacity. This has led to dozens of immigrants sleeping on the bridge. The Merkley group plans to also visit a Health and Human Services Office of Refugee Resettlement facility in Brownsville. During Merkley’s trip to the Valley earlier this month, he was not permitted inside the Casa Padre center.